Eddie Jones is still upbeat about England's development, despite losing 2-1 in their recent series against South Africa. The squad arrived home on Monday and Jones is set to meet RFU bosses at Twickenham this week to talk about his plans as the team continue to prepare for the next year’s World Cup. RFU Chairman Andy Cosslett insisted that Jones has got the full backing of the board but it is not 'unconditional'. 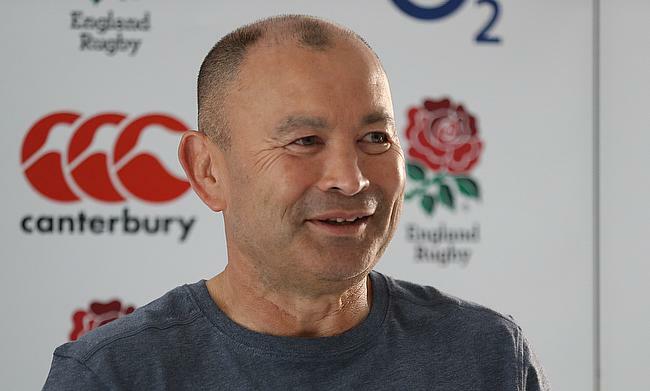 However, things have been tough for the 58-year-old this year with the team struggling to make an impact in the Six Nations where they finished fifth which was followed by their loss against the Springboks, but Jones’ aims don’t seem to have wavered. Jones said: "We want to win every Test. We want to win the World Cup and sometimes you do things that might not necessarily mean you are at your best for that Test match. I'd like to win every game and I'd like to be the best team ever, but we'll settle at where we are at. "I'm enjoying what we are going through. It is just a natural part of a team development." Jones' meeting is reportedly with Chief Executive Steve Brown and the England head coach will be quizzed on how he can change the fortunes around of the national team. The Australian's selections were also under the microscope in South Africa, but his decision to hand Danny Cipriani his first start in 10 years for England in Newlands was vindicated by the fly-half as a moment of insipration allowed Jonny May to dot down and help his side to a 25-10 victory. Jones said throughout the tour that England were a team that were still building and with autumn fixtures to come against South Africa, New Zealand, Japan and Australia, the England boss will be hoping to have a clearer plan in mind with just under a year to go until the World Cup. He added: "You start as (South Africa coach) Rassie Erasmus has done. You get some easy games and you improve and then you have got to renew the team. "Sometimes that renewal is difficult because you have to bring in some new players and maybe some of the older players are not performing where they should be and so you've got a bit of a gap in the team."